Free Magazine Subscription: "The Scientist"
Is the magazine for life science professionals -- a publication dedicated to covering a wide range of topics central to the study of cell and molecular biology, genetics, and other life-science fields. By submitting this content request, I have legitimate interest in the content and agree that LabX Media Group, their partners, and the creators of any other content I have selected may contact me regarding news, products, and services that may be of interest to me. 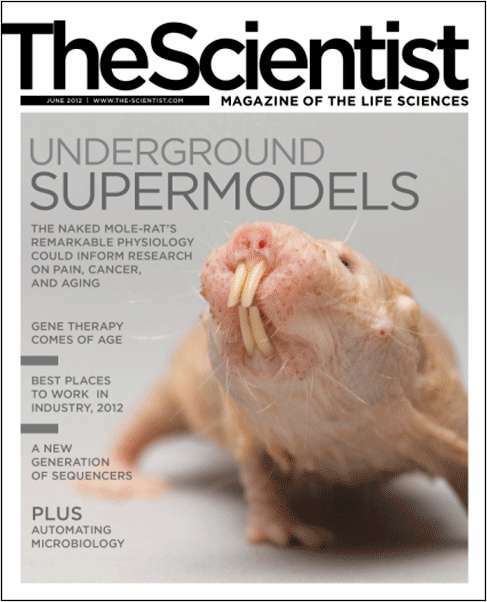 Do you wish to receive a FREE subscription to The Scientist? What subscription delivery method do you prefer? In order to verify your request for this publication, without the availability of a signature, our audit bureau requires that we ask a personal identifying question. This information is used solely for the purpose of auditing your request. First letter of high school attended? I specify, influence, recommend, and/or purchase products and services. What is your Primary Field of Work? Complete and verifiable information is required in order to receive this subscription. • Geographic Eligibility: USA (Print, Digital or Both), Mexico, Selected International (Digital Only). • The publisher determines qualification and reserves the right to limit the number of free subscriptions.